Mayor Ras J. Baraka and Director of Recreation, Cultural Affairs, and Senior Services Patrick Council reminds residents that the City of Newark is offering a wide array of aquatic learning programs at the John F. Kennedy and Sharpe James/Kenneth A. Gibson Aquatic Centers Year-Round, for all ages. Classes range from teaching adults to overcome “Fear of Swimming” to Master Swim Classes. There are also classes in Water Aerobics, Stroke Development, and Parent & Child. A full listing of classes follows. 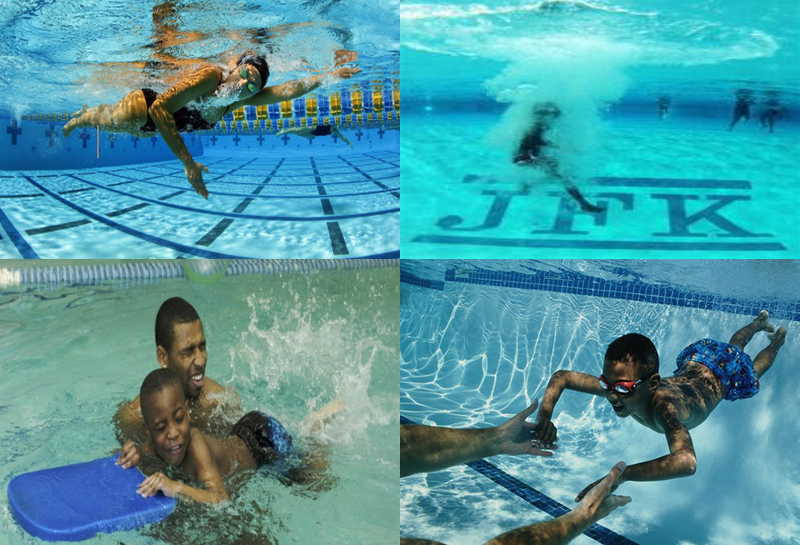 The John F. Kennedy Recreation and Aquatic Center is the City’s largest such facility, offering Newark residents of all ages a wide variety of daily recreation, exercise, and swimming programs. The facility features a multi-purpose exercise room, an NBA-regulation size basketball court, a state-of-the-art weight room and the only indoor/outdoor Olympic-size swimming pool in the State equipped with a retractable roof. The Sharpe James/Kenneth A. Gibson Recreation and Aquatic Center offers Newark residents of all ages a wide variety of daily recreation, cultural, exercise, and swimming programs. The facility features a multi-purpose exercise room, and an indoor swimming pool, providing residents with access to year-round aquatic classes and recreational programs.